Structural Ecology is the study of how organisms interact with the 2- and 3-dimensional structure of their environment. In practice, this means trying to understand how animals respond to their surroundings as revealed by their movement, and the implication of this for their ability to survive and thrive on that landscape. 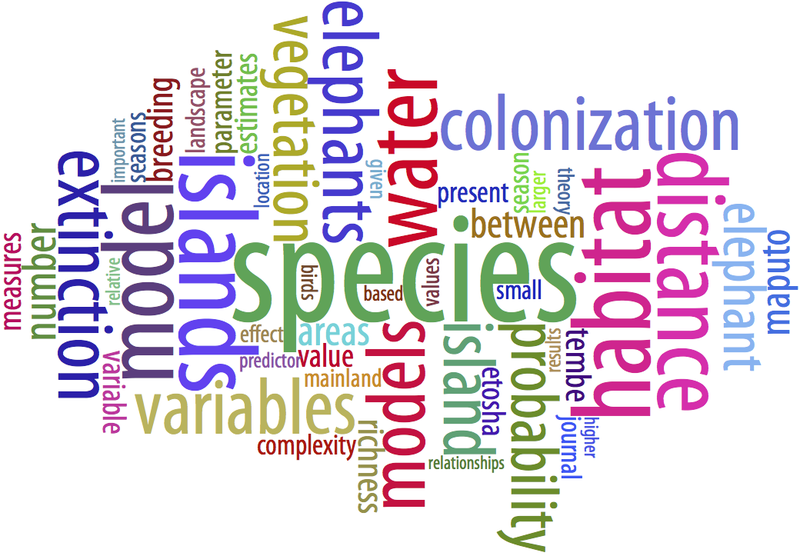 Our lab studies metapopulation dynamics, individual and collective animal movements in complex landscapes, and other issues of spatial ecology and conservation. We collaborate closely with the Swarm Lab at NJIT. My name is Lu Zhou, a Chinese student majoring in Zoology. Given my research experience in Xinjiang Agricultural University, I have gained increasing interest in Wildlife Ecology and I have set up my mind to further my study in this filed. After completing my PhD studies, I hope to become a qualified ecological researcher working in universities, wildlife conservation organizations or relevant research institutions. My research interests focus on understanding the relationship between animals and environment. Exploring prestigious professors online, I found your research on structure ecology is a splendid match to my expectance and I do think your lab will help me to achieve my goal. I would like to study on the patterns and dynamics of spatially-distributed populations under your supervision. I sincerely hope I can have the opportunity to join your program as a PhD student in the fall 2017. In the process of graduate study, I have laid a solid foundation in Zoogeography especially I had a deep research in the distribution and diversity of amphibians and reptiles. In 2012, I had completed collecting and rearranging about more than 10,000 vertebrate specimen materials under National Teaching and Research Sharing Platform and in 2013 I collected materials about climate data, zoogeography and distribution areas of amphibians and reptiles in central Asia. It’s of significant importance for me to further comprehend the influencing mechanism between ecological factor and distribution of amphibians and reptiles on account of the sheer combination of theory and practice. From 2014, I have participated a lot in the research of the Effect of Lizards on Plant Seeds Dispersal. In addition, I have published relevant research paper “Amphibian and Reptilian Distribution Patterns in the Transitional Zone between the Euro-Siberian and Central Asia Subrealms”, “Current Status of Wildlife Conservation and Management in Tajikistan” as the first author and it also cultivated my team spirit in the course of cooperating with others. Also, I am familiar with the use of ArcGIS and SPSS on data analysis. I have attached my CV to this Email for your consideration. I’m longing to have the opportunity to explore my potential in this program under your supervision with all my heart and soul. Thanks for your time, and I am looking forward to hearing from you. Thanks for your reply and reading my paper. I like using not only multiple statistical analysis methods to deepen research but also the powerful function of ArcGis to broaden my research. I believe that our same research interests and your research experience would help me to become the researcher that I always want to be, so I would like to apply for PhD and it would be my honor to further study, hopefully with financial support, under your guidance. As for my application, I have had TOEFL score and I’ll take GRE next month. Would you please let me know the score standard of admitted students? I will try my best to get a good score so as to improve my competitiveness. Besides, I’m surprised you are interested in animal studies in China. Wildlife study is not hot here which leads to limited research scope and profundity. In fact, wildlife study here mostly focus on gene and heredity while research on large scales’ diversity and distribution as well as influence of environmental factors, anthropogenic disturbance, species interaction, metapopulation and habitat fragmentation and others related to Structure Ecology is far from enough, so it will be a great opportunity for us to explore the field of wildlife in China. If you are interested, I’m glad to discuss some relevant topics with you. During my graduate, my research dabbles in the whole arid land in Central Asia, including Tibet which located in the north of Himalaya Mountains. Therefore, I’m familiar with climate, landform and animal distribution of Tibet. Do you have cooperative relationship with the professor you mentioned? Are you interested in wildlife in Tibet, too? If so, I do believe I would be of help. Concerning the fellowship, I will try to search some information about CSC scholarship from China Scholarship Council’s website. Besides, is there any other fellowships or RA /TA in NJIT for international students? In addition, I only find your earlier articles on your personal website. Would you please send me some of your articles in recent years so that I may know more about your research?